Top floor, 2 bdrms, 2 full baths. West facing condo, nice & bright! Open concept kit w/ upgraded granite counter, built-in microwave, upgraded black appliances, breakfast bar, tiled floor & entry. Cozy gas F/P, W facing balcony, inste laundry. Functional layout w/ bedrooms on either side of living room. 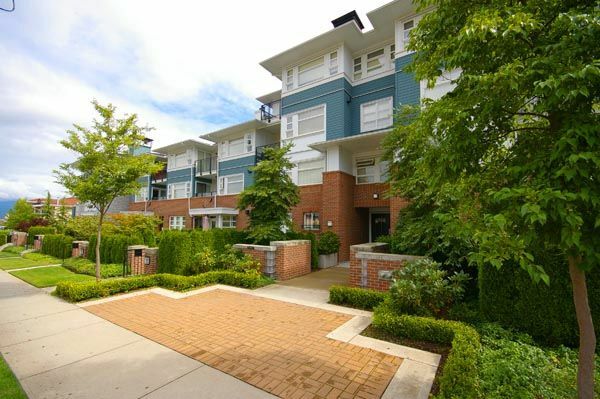 Great location, just minutes to Metrotown. Balance of New Home Warranty, quality construction by Intercorp!. BONUS: 2 parkings & 1 locker. OPEN HOUSE Saturday Aug 25/07 1:00-3:00 PM, OPEN HOUSE Sunday 26/07 1:00-2:30 PM.